Well, today's my birthday and it's been a week of fantastic gifts! A new lease! Something much safer to drive than the old car. 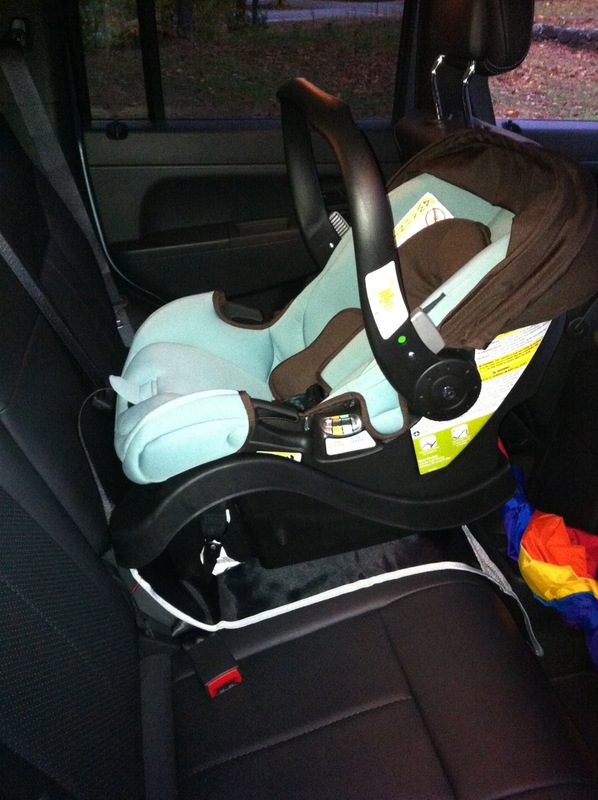 Baby will be able to ride in comfort, style, and safety. The Jeep has a remote start and heated mirrors for those tough, icy New England winters and 4WD to get out of unplowed driveways. I couldn't resist trying the car seat out! We also went on a mini (and expensive) baby shopping spree and got a lot of small items that, when you really look at it, add up to not much...if that makes any sense: cloth diapers (for cleaning), wipes, thermometer, onesies, socks, small toys, wipes, kids movies that we can tolerate, aspirator, bibs, towels & washcloths, wipes, carseat mirror, hats, more receiving blankets, wipes, fleece pads, quilted waterproof mattress covers, bottle starter set, bottle brush, and a few more packs of wipes. Once unpacked, it looks like you barely got anything. 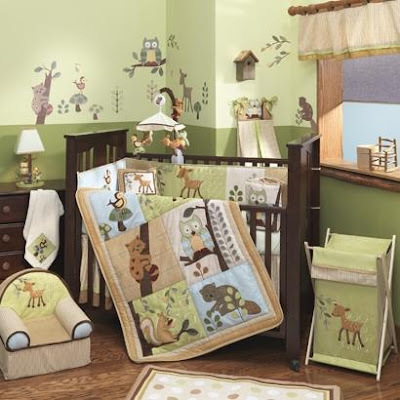 We also bought the nursery set that I've been wanting (pretty much since the moment we got the positive so many months ago). We got an excellent deal online at Albee Baby (http://www.albeebaby.com - use coupon code "15OFF") - much cheaper than Amazon. We did end up having to get the bumper on Amazon though. ...a clean bill of health! 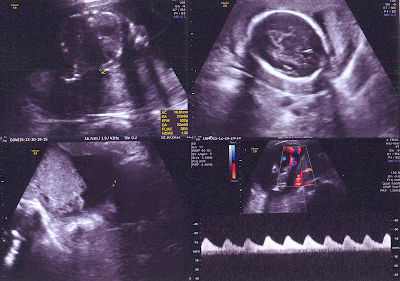 Not the greatest looking scans, but as long as our baby and lovely surrogate are healthy, who cares? Happy Birthday. The nursery looks great,as does the new car.Have a great day . I love the nursery theme, and the new car. Happy Birthday! Belated Happy Birthday! hope you had lots of fun! what an awesome car! Looks awesome! You guys are really doing it in-style. Baby stuff is so cute, & the jeep looks like fun. We just got our 23 week scans today, it's all good! Congrats, & a belated happy birthday too. Love the ride... nursery set... and especially the scans :) Happy belated birthday too!